This year’s Mystic River Mudhead Sailing Association Spring Seminar, on Wednesday, May 8 at Shennecossett Yacht Club in Groton, CT, features a special presentation by Russian yacht designer Vlad Murnikov. Story of Russian Submarine is tale of hardship, triumph, and tragedy. The Soviet Union was in disarray in the mid-1980s, and while Mikhail Gorbachev was speaking of Perestroika, no one knew where that would lead. 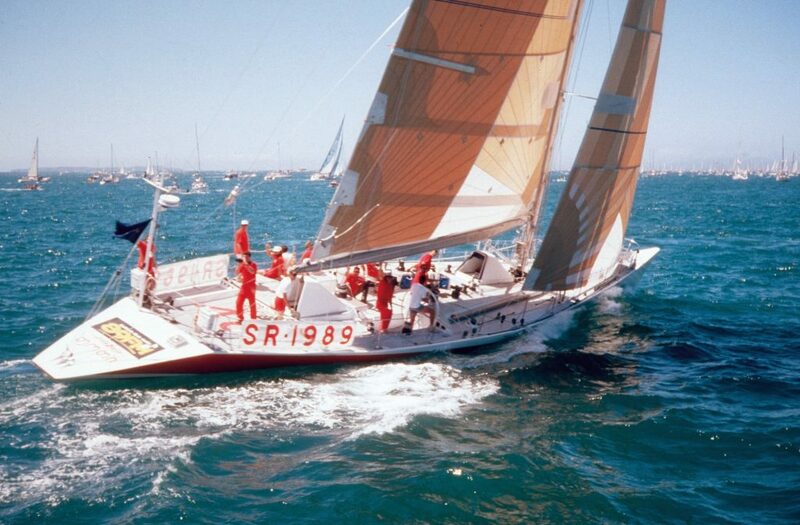 Murnikov, an architect with a penchant for yacht design, began talking to friends about the upcoming 1989 -’90 Whitbread Round the World Race. The Soviet Union had never participated, but change was in the air. In two short years, Murnikov was able to put together a design team, build the boat known as Fazisi (nicknamed “The Russian Submarine”), navigate spotty sponsorships and shifting politics, and enter the race. The campaign became an instant media sensation, with Fazisi fashion shows, Hooters Girls, and even boxing matches. In the second part of the presentation, the innovative and unorthodox designer will discuss some of his latest work with hydrofoils, wingsails, canting keels, and more. All are welcome to ick off the sailing season with the Mudheads and enjoy a captivating evening with an international flair! The seminar begins at 5:55 pm, and pizza, beer, wine, rum and vodka will be served. Tickets are $10 in advance and $15 at the door. Please register in advance at www.mudhead.org. If you’re interested in volunteering at this event, contact Jon Bawabe at jbawabe@aol.com.